Osteoporosis is a condition where the bone density decreases with advancing age, due to deficiency of calcium and vitamin D. With increased life expectancy, osteoporosis has emerged as a potentially disabling condition of the old age. 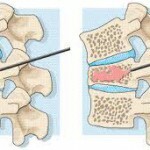 This condition makes the bones of the body weak and susceptible to fractures, especially of the spine. Approximately 85% fractures in old age are caused by osteoporosis and remaining 15% are caused by bone weakness caused by other conditions such as spread of cancer to the bones. Out of these one third patients may present with significant pain in spite of non-operative measures like bed rest, hospitalization, pain killer medications or bracing. 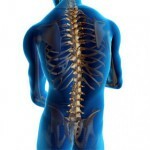 What is Osteoporotic Vertebral Fracture? Osteoporosis is complicated by vertebral fracture that occurs spontaneously or is caused by minor trauma. These vertebral fractures are often highly painful and are treated with immobilization, analgesic drugs, and specific treatment of osteoporosis. But immobilization increases demineralization. Therefore in spite of long-term medical treatment, some patients have severe, persistent, incapacitating pain. Later consequences of vertebral fracture include reduced height, kyphosis (hunch back), and chronic back pain. Percutaneous Vertebroplasty is indicated for painful osteoporotic or neoplastic vertebral compression fractures refractory to medical therapy. Vertebroplasty also known as Percutaneous Vertebroplasty is a spinal procedure in which bone cement is injected through a small hole in the skin (percutaneously) into a fractured vertebra with the goal of relieving the pain of osteoporotic compression fractures and providing strength to the bone. Vertebroplasty is used for patients with vertebral compression fractures due to osteoporosis, metastatic tumors, or benign tumors such as vertebral heamangiomas. It also provides vertebral stabilization when the lesion threatens the stability of the spine. Vertebroplasty can increase patient mobility, decrease narcotic needs, and prevent further vertebral collapse. Vertebroplasty is a minimally invasive, image-guided procedure done by a spine surgeon. 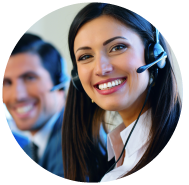 It is performed on out patient basis under local anaesthesia and light sedation. During the procedure, bone cement, polymethylmethacrylate(PMMA) is injected with a biopsy needle into the collapsed or fractured vertebra with x-ray guidance. The acrylic cement quickly dries and forms a support structure within the vertebra that provides stabilization and strength. The needle makes a small puncture in the patient’s skin that is easily covered with a small bandage after the procedure.